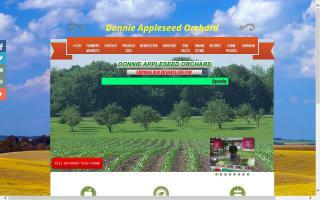 Donnie Appleseed Orchard is dedicated to growing not only the freshest apples but garden produce as well. We currently have 200 apple trees representing 12 varieties . Our 5 acre garden orchard area located on our 100 acre second generation farm boasts some of the finest home grown fruits and vegetables you'll find anywhere! From onions and garlic to vine ripened tomatoes you'll find all your fresh produce available at Donnie Appleseed Orchard at very competitive prices! 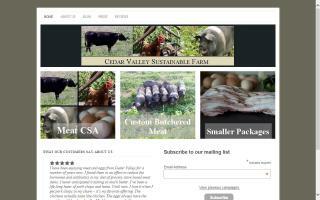 Small family farm raising grass fed Angus beef in a free pastured, no hormones or antibiotics, humanely raised environment.